(30 cm), xxi (1), 517 pp., mounted colour frontispiece, 11 mounted plates (8 in colour). 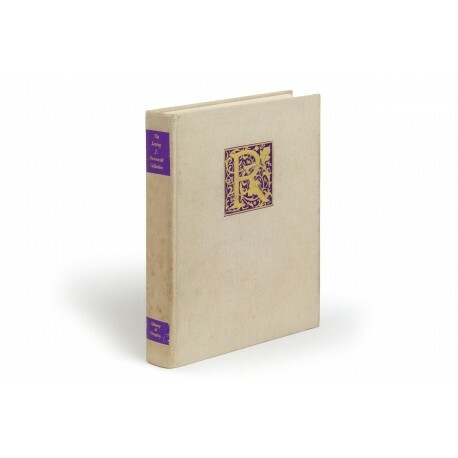 Publisher’s linen binding stamped in purple and gilt. - 2,653 items are described; “Each entry give information sufficient to distinguish the volume and draw attention to its unique characteristics” (p.xiii). Five indices, including “Artists, Calligraphers, and Engravers”, “Provenance, Association copies, and Presentation copies”, “Binders and bindings”. Cf. the memoir by F.R. Goff, “The Rosenwald Library (Contemporary collectors, 8)” in The Book Collector, volume 5 (1956), pp.28-37; Donald C. Dickinson, Dictionary of American Book Collectors (New York 1986), pp.274-275. 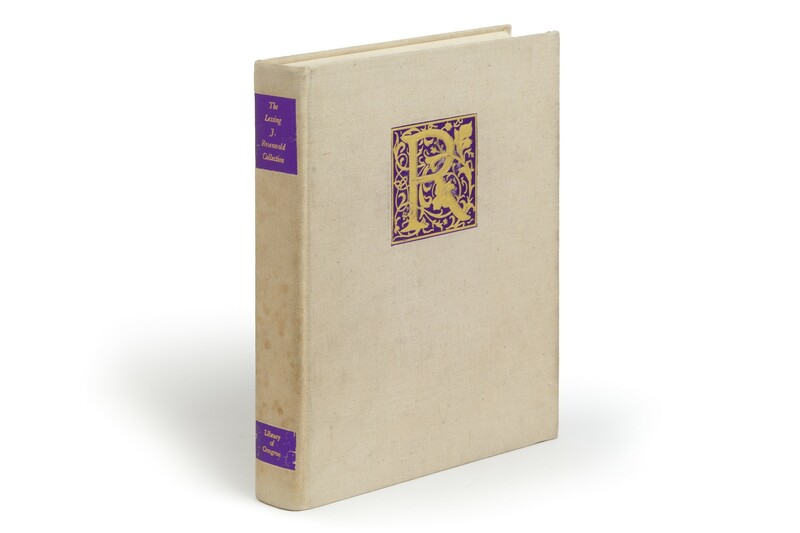 ¶ The cream-coloured cloth binding is lightly soiled; otherwise a good copy.